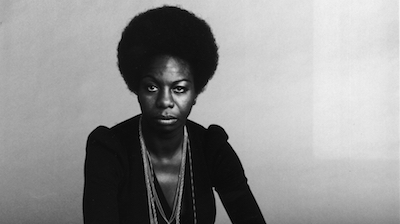 Nina Simone was singer, songwriter, pianist, arranger, and civil rights activist. One of the most gifted and distinct voices of her generation, she recorded over forty albums. Composed by Simone, with lyrics by Weldon Irvine, this song peaked at number eight on the R&B charts. It was the seventh track on Simone's 1970 album, Black Gold, and it was written in honor of Lorraine Hansberry, Simone's friend and the author of A Raisin in the Sun. The song has been covered by numerous artists, including Aretha Franklin and Donny Hathaway.